While looking at some other M16/AR-15 platforms I came across this upper receiver which allows the shooter to have a belt fed platform like the M249 light machine gun (LMG) which is about pound 10 pounds more than the ARES SHRIKE. While the AR-15 has been around since the ‘50s there hasn’t been an effective belt fed upper design until the early 2000s because in part to the standard gas-operated action (Direct impingement) which sends hot gas, carbon and unburnt powder back into the action of the rifle. Geoffrey Herring the designer of the ARES SHRIKE redesigned the upper for his platform by using a Short-stroke piston which vents the gas and carbon out the front. The Short-stroke piston has been used for years in the AK platform which helps aid in it reliability. 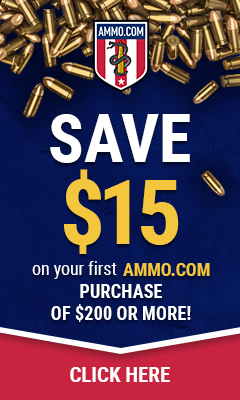 The ARES-16 AMG-2 has a few major advantages over many LMGs and rifles alike because it can still use the standard M-16/AR-15 magazines which allows the shooter to pick the best option for their needs while still allowing them to quickly change over to the M27-linked SAW ammunition from 100-round “soft-pouch” or 200-round hard plastic SAW ammunition containers if their situation requires. The rifle can always use 100 round beta magazines. Fully automatic fire can warp and destroy a barrel if it cannot be kept cool due to the immense amount of heat generated by sustained fire. ARES upper has a quick change barrel assembly so the shooter may change the barrel stop overheating. The whole upper receiver can be taken off and replaced with the standard upper if the shooter wants. The rifle can be fitted with multiple Picatinny rails making the rifle have the ability to run any accessories needed. Doug Campbell of Colt Defense demonstrates how easy it is to convert the LE901 from a .308 to 5.56 (.223) in a matter of seconds. At this point in time all they could say was that they will be hopefully releasing it in the first quarter of 2012. The conclusion to the gears review on the FN-H FS2000 bullpup. The polymer frame and ergonomics of the grip and fore grip makes the rifle lightweight and comfortable to shoot for extended amounts of time. After a day of shooting the gun never heated up to uncomfortable point. While shooting the rifle in a more tactical range we found that carrying and shooting the rifle without the sling is not as comfortable. The GEARS crew has a left handed shooter who went out with us. The is not your standard AR style mag release and requires the shooter to press the (Ambidextrous bottom mounted) magazine release while they pull the magazine out. It took a a few reloads before it becomes easier and after a day of shooting blind magazine change becomes more easy without having to take your eye of the target. Shooting off the bench rest or standing with firing in a fast semi-auto burst we could still stay on target and keep about and 2” to 4” grouping with no problem. The Ambidextrous safety in the trigger guard is a nice feature. but other than that no real comment on the safety. Clearing the weapon: It always seemed we had to rack the charging handle back twice just to be sure the round came out of the rifle. The forward ejection: Standing alone at the table or with no one to our right the ejection was nice but when a person was standing to our right they sometimes were hit with spent brass. Cleaning: After breaking down the rifle we didn’t have to take the bolt carrier apart to clean like our AR-15 which made cleaning quick and simple. Accuracy: center grouping was taken off the bench rest and the other holes were from sighting in and when doing semi-auto burst fire. For part 1 of the review Click here or specs and other info Click here or for a video about how to field strip the weapon Click here. The GEARS crew went out to the range to sight in our new rifles and get a feel for them so we could better review them. We shot about 200 rounds running M855 5.56×45mm 62-grain ball cartridge, green tip steel penetrator rounds. After an extended range time with this rifle we have had a better chance to review it. 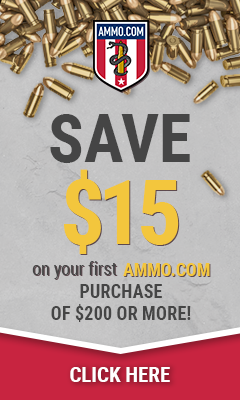 AR-15 Metal magazines are cheap and easy to find, if you own an AR-15 style rifle you can buy one type of magazine for both rifles. The Bullpup design allows for different height and build shooters to fire the rifle without the need of changing a stock length or forend grips. The weight of the rifle is mostly centered in the middle of the rifle making the recoil low and reducing some of the muzzle climb when fired in semi-auto. With the ejection port at the front of the rifle the chamber has very little access when fully assembled making clearing jams or brass stuck in the barrel hard to do. The only malfunction we had was a double feed which was easy to remedy by removing the magazine and locking the charging handle to the rear. This wasn’t so much a problem for us at the range. A shooter who has been trained on the AR style mag release will need to relearn the motions for releasing the magazine. This requires the shooter to press the (Ambidextrous bottom mounted) magazine release while they pull the magazine out. The rifle only uses metal magazines. Killing Zombies and sighting in the new weapons. We will be back on Friday with a report on a few of the guns with hopefully AWESOME videos and great photos. To my fellow Americans Have an AMAZING Thanksgiving and remember to be thankful for our Second Amendment. We are attaching an EOTech XPS2 holographic Sight to the weapon. We are taking them out to the range on Saturday to get them all sighted in. Gears of guns recently added a few new guns to our collection, one of which is the FN-H FS2000. We have been familiarizing by taking the weapon apart and putting it back together and add a laser and holographic scope. We are taking the weapons out this weekend to get them sighted in. The rifle is easy to field strip without use of any tools. Cleaning the gun is just as easy. The gun only uses metal magazines in 30 rounds or 10 round magazine with an extended bottom plate. SIZE: 10.2″ tall, 3.20″ wide. Action: Semi-auto. Gas-operated rotating bolt. Action: Semi Auto, Straight blowback closed bolt. Action: Selective fire. gas operated. The CR-21 stands for Compact Rifle for 21st century. The CR-21 is not like most modern bullpups in that it is not ambidextrous. The extraction port is only on the right side and close to the shooters face. The fire mode selector is behind the magazine while the safety selector is located at the front of the trigger guard unlike most Selective fire rifle that have the safety in the fire mode selector. The trigger and trigger guard are larger to allow the shooter to fire the weapon while wearing gloves. The cocking handle is located on the left side and does not cycle when the weapon is being fired.